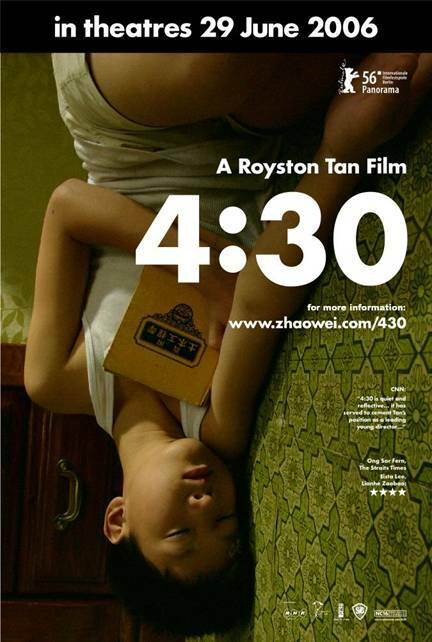 Royston Tan's new movie opens 29 June 2006, more information here . Webisode 2 of 'Becoming Royston' is now online . Check out our website at www.becomingroyston.com . Go to the TV section and click on channel 2 to view. We have also launched a new online project on the main site "長大后要做什麼?" "What do you want to be when you grow up?". You can stand a chance to win the new Royston Tan DVD 'Royston's Shorts', autographed by Royston himself. All you have to do is to write in online in less than 500 words. What was your childhood ambition? Have you attained it? If so, how have you come to realize it? And if not, what stood/is standing in your way? To find out more about the DVD, visit the Asian Films Archive site . New Trailer online. Flash 8 plugin required. The story revolves around the coming of age of Tan Boon Huat (Alvin Neo), the middle child of a prawn farmer whose family resides on an island town. Nicknamed ‘Hei Bee’ (shrimp in Hokkien, a Chinese dialect) Boon Huat’s time as a child to adolescence was one that was filled with oppression, often receiving harsh treatment from his own father (William Chua). Boon Huat eventually leaves the island with the help of his friend and confidante, the island boatman (Tay Kay Chin). On the mainland, he meets a girl (Oon Shu An) while working in a video shop. Boon Huat starts to discover his dream of becoming a filmmaker with the help of his new found ‘love’. Updated website includes production notes, production stills and new images. From June 2006, Originasian Pictures will be presenting a specially edited version of our new film 'Becoming Royston'. This edition will be split into five webisodes release over a three month period. This version will feature an alternate ending from the full length release. The website is www.becomingroyston.com . Flash 8 plugin required. We are still updating the site with more stills, behind the scenes and new webisodes. Check back ever so often for more updates. Thank you for all the love and support. And please tell everyone.